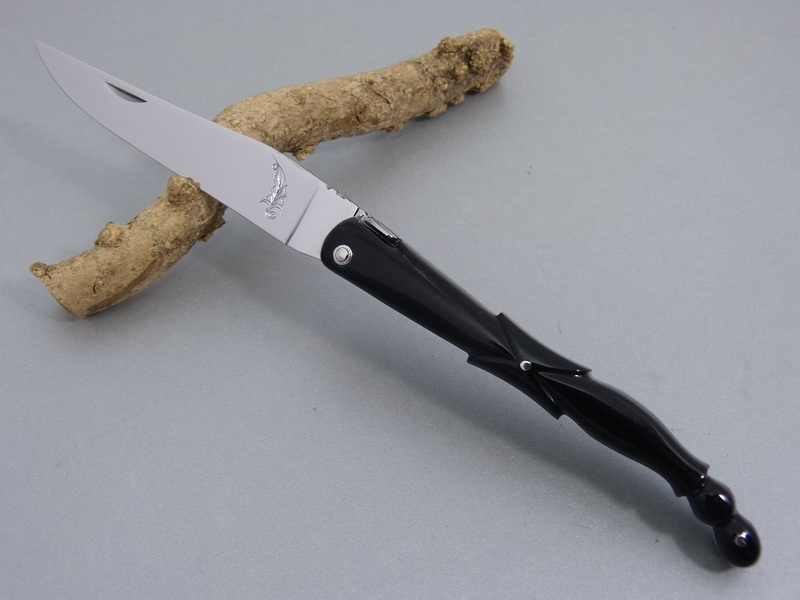 Collectible Laguiole : Laguiole "Wing of Pigeon"
You are here: Home Collectible Laguiole Laguiole "Wing of Pigeon"
Laguiole folding knife 12 cm in length of handle and 11 cm in length of blade with a black horn of zébu of top quality sculptured in wing of pigeon way. The spring is massive, engraved of decorative leaves and a traditionnal laguiole bee. The steel of the blade is Swedish sandvik 12c27 stainless steel finely engraved of a leaf of acanthus. The finish is shiny.